During the five-night cruise, 332 cases of the illness were reported, Owen Torres, a spokesman for Royal Caribbean told CNN in a statement on Saturday. 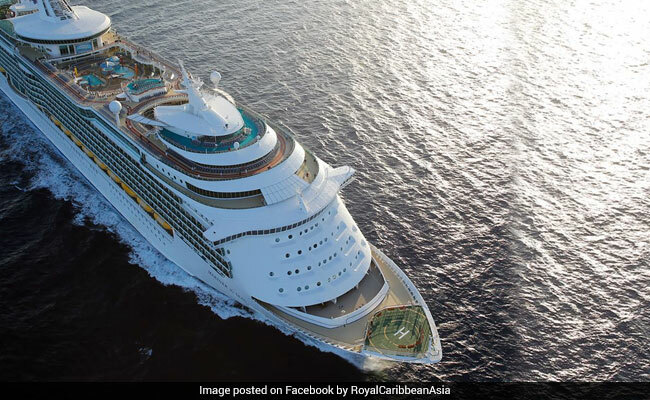 Washington, United States: A Royal Caribbean cruise ship returned to Florida after hundreds of passengers contracted a gastrointestinal illness, the media reported. He stressed that it was a small percentage -- 5.99 per cent -- of the more than 5,000 passengers and crew onboard the ship, Independence of the Seas. "Those affected by the short-lived illness were treated by our ship's doctors with over-the-counter medication," Torres said, "and we hope all our guests feel better quickly". According to reports, some passengers who were disembarking on Saturday in Port Everglades, Florida, believed the number of passengers who got sick was higher than what Royal Caribbean said. Torres, the Royal Caribbean spokesman, told CNN the company is "taking steps like intensive sanitary procedures to minimise the risk of any further issues", and that the ship will "undergo special additional cleaning procedures before it departs on its next cruise". "It was just terrifying," a passenger whose 15-year-old son came down with the illness, told local media on Saturday. "Just the amount of people that were coming in at the same time with vomiting and diarrhoea and just looked ghastly."